For large public events and sizable construction or industrial projects, Texas Waste Co. recommends the use of our job site restroom trailers. These restroom trailers are extremely durable to withstand any environment-type and offer a spacious and upgraded alternative when indoor restrooms are not an option. Job site restroom trailers are easy to transport from location-to-location as needed and include layout variations, flushing toilets, porcelain sinks and restroom stalls or partitioned urinals for increased privacy. These units give a professional appearance to job sites that frequently host clients and colleagues and have separate fixtures for women and men. Built in porcelain sinks, soap and paper towel dispensers and waste receptacles make the all-in-one job site restroom trailers an exceptionally clean solution for alternative lavatory needs. 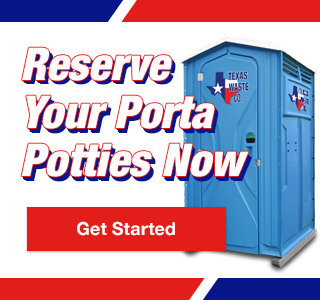 To find out if job site restroom trailers are the right sanitation solution for your next large public event or construction project, contact Texas Waste Co. today to speak with a sanitation specialist.